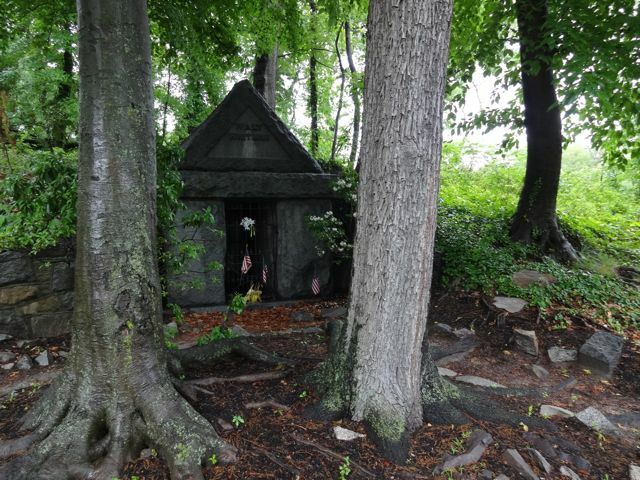 If you live anywhere near Philadelphia, today would be an ideal opportunity to visit Whitman’s crypt at Harleigh Cemetery in Camden. Make a picnic of it: the weather is gorgeous today. This entry was posted in Whitman Illuminated on May 31, 2014 by Allen Crawford. 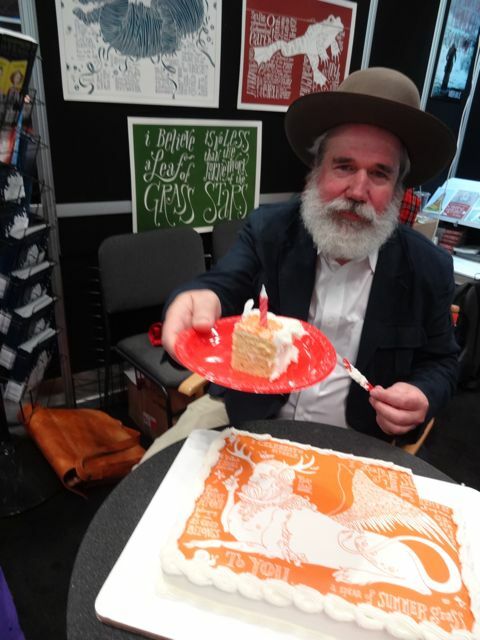 The signing and “birthday party” at BEA went well. I was signing BLADs for three hours straight yesterday afternoon. 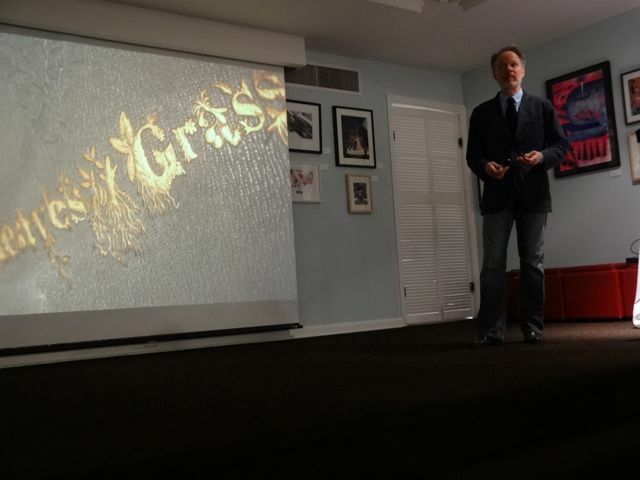 I was happy to have met an awful lot of people who championed the book, which was gratifying. And of course, my trusty agent Peter and the folks at Tin House were there to lend their support. 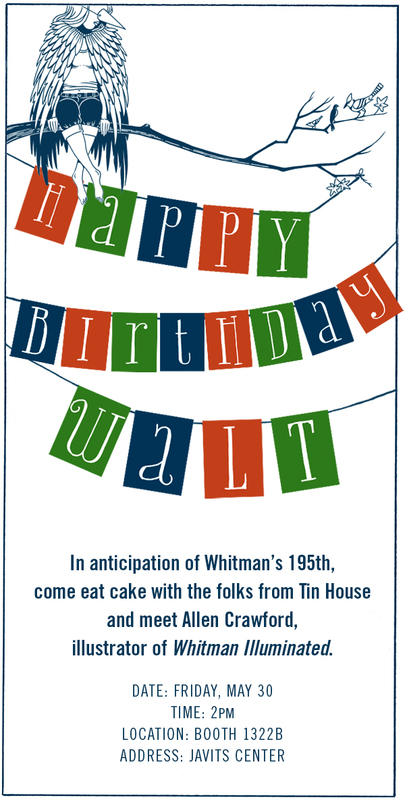 You may be wondering who “Walt” is. The gentleman who has been so gracious as to serve as our “Walt” in the video and at yesterday’s little party is one of my best friends, Bill. Bill lives on the other side of my town, out in the woods running along Rancocas Creek. 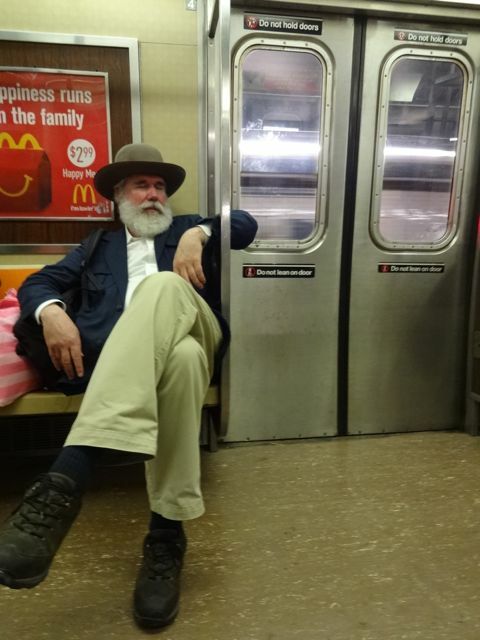 Over the winter he grew out his beard, and I think we were all amazed when we popped the hat onto his head for the first time. 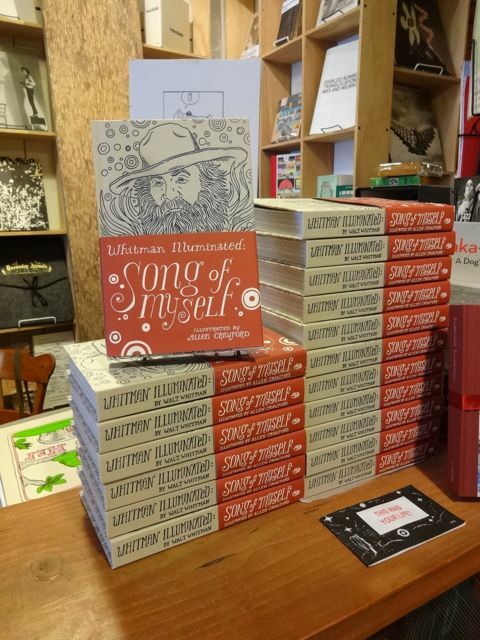 His resemblance to Whitman has certainly come in handy. He’s a very quiet, thoughtful man, which only accentuates his Whitmanesque aura. Anyway, he’s been such a good sport over the past couple months, so the least I could do was make sure he got some cake and beer yesterday while I manned my table. I think he enjoyed the attention, too. I stopped by Walt’s place at Harleigh Cemetery today, and woke him up. He was a bit grumpy about it at first, given the rainy weather, but his mood lightened when I offered him a beer. 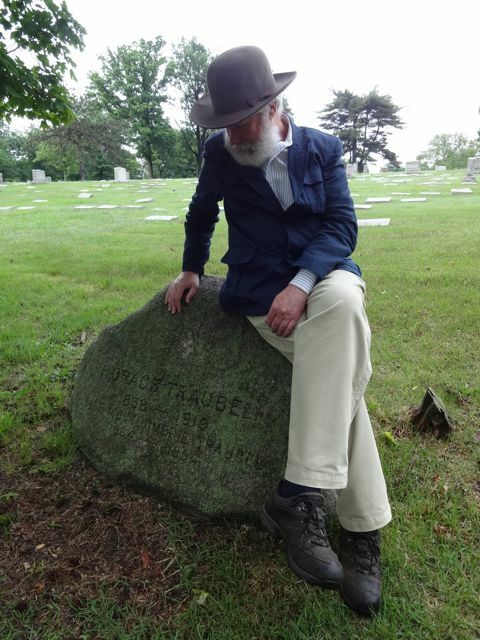 We then walked over to the resting place of his amanuensis and biographer, Horace Traubel, to see how he was doing. He’s at Harleigh too, but it had been a while. After the initial awkwardness, it was like old times again. 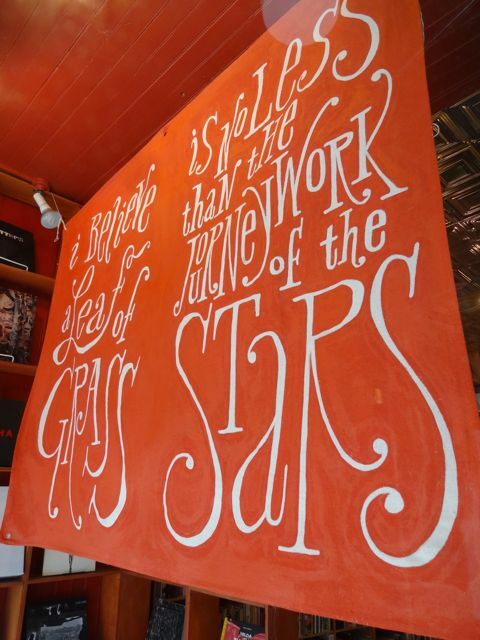 This entry was posted in Whitman Illuminated on May 29, 2014 by Allen Crawford. This entry was posted in Whitman Illuminated on May 28, 2014 by Allen Crawford. Last night was the biggest venue of the tour, and I’m pleased to say that we sold all of our copies. Huge thanks to David Kessler, Laura Baird, Ben Warfield, and John Pettit for accompanying me onstage last night at Housing Works. The screening of scenes from David’s film-in-progress, Pines, paired beautifully with the live score performed by Laura, Ben, and John, AKA the Ruins of Friendship Orchestra. We did Philly proud. 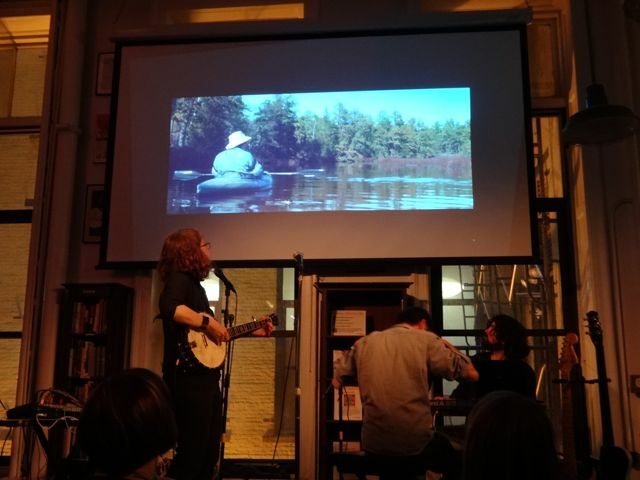 And a huge thank-you to Amanda at Housing Works, Word Bookstores, and all of my NYC friends who made it out last night. I’m very grateful. Tomorrow evening will be my biggest planned event for New York! 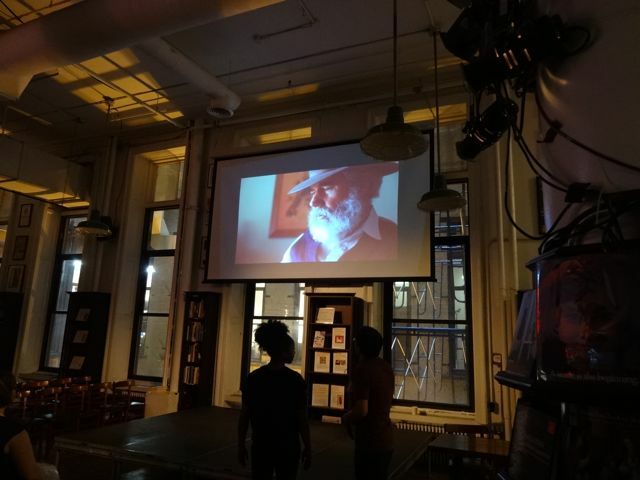 We will kick things off at 7PM with my friend, filmmaker David Kessler (he made my book trailer), who will be screening a short selection of scenes from his current film-in-progress, Pines. Our friends The Ruins of Friendship Orchestra will accompany David’s short film with a beautifully atmospheric, live score. This will be their first show in New York. 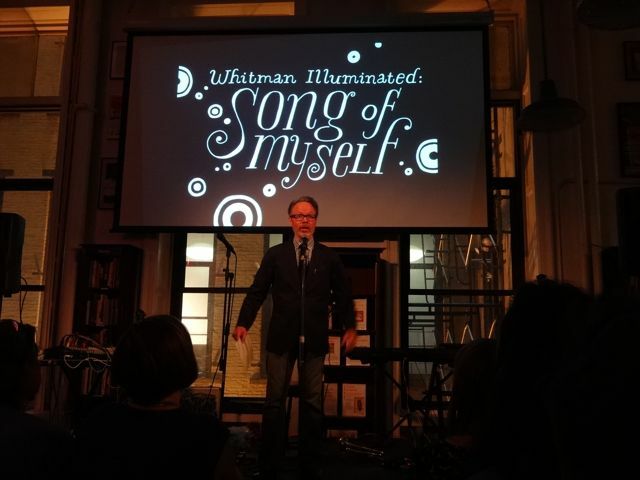 After the twenty-minute interlude of film and music, I will give a brief five-minute overview of my book, followed by an impromptu slideshow presentation about the making of Whitman Illuminated, during which audience members are invited to ask whatever questions they like. After this, I will be signing books. 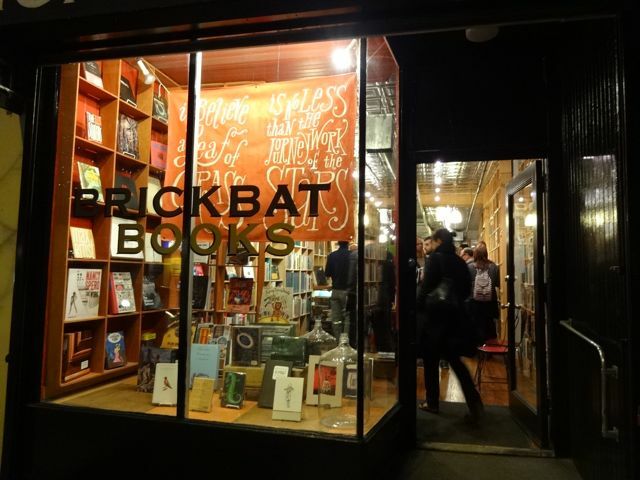 The event will be taking place at Housing Works Bookstore Cafe (126 Crosby Street, just off Houston). Housing Works Cafe is a non-profit bookstore. All proceeds go towards their mission to fight AIDS and homelessness. This entry was posted in Whitman Illuminated on May 26, 2014 by Allen Crawford. My sincerest thanks to the Society of Illustrators. It was an honor. This entry was posted in Whitman Illuminated on May 22, 2014 by Allen Crawford. 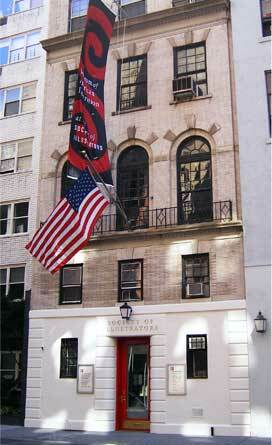 My first New York book event is tomorrow night in the hallowed halls of the Society of Illustrators. 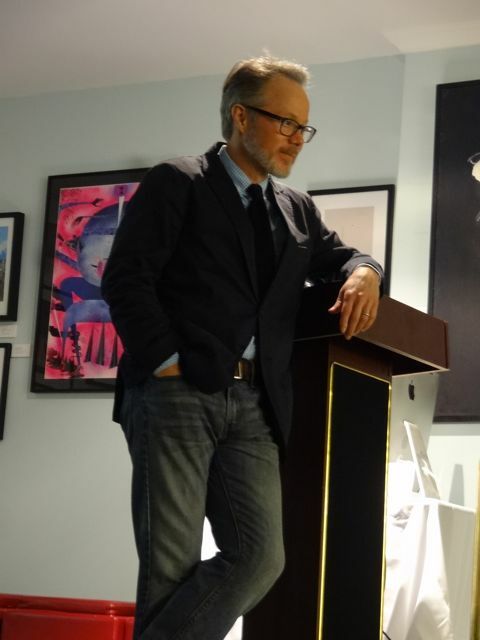 The slide presentation and behind-the-scenes Q&A starts at 6:30PM, followed by drinks, buffet, and a book signing. Here is a link for info and tickets. Hope to see you there! This entry was posted in Whitman Illuminated on May 20, 2014 by Allen Crawford. 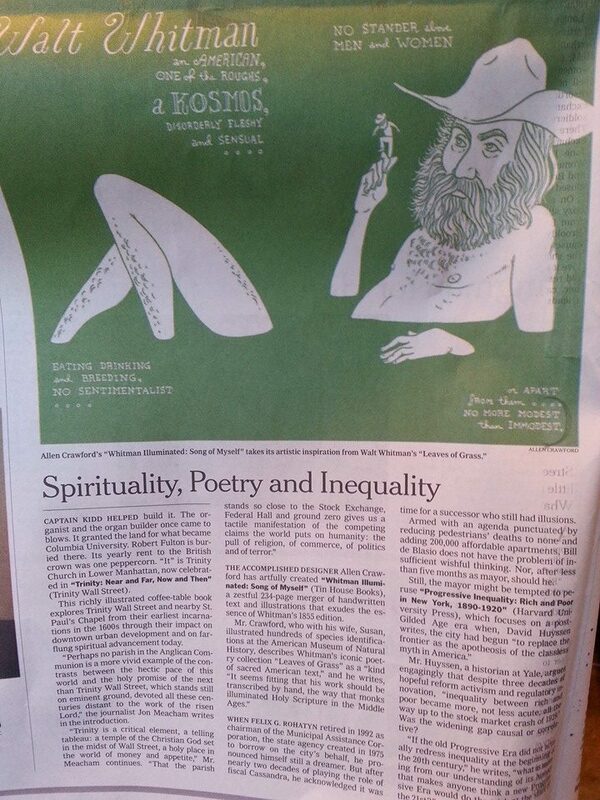 The Grey Lady looks a tad green this Sunday morning…This is the third time I’ve made the NYT. It’s a comfort to know that the “paper of record” will run an official obituary when I eventually croak. 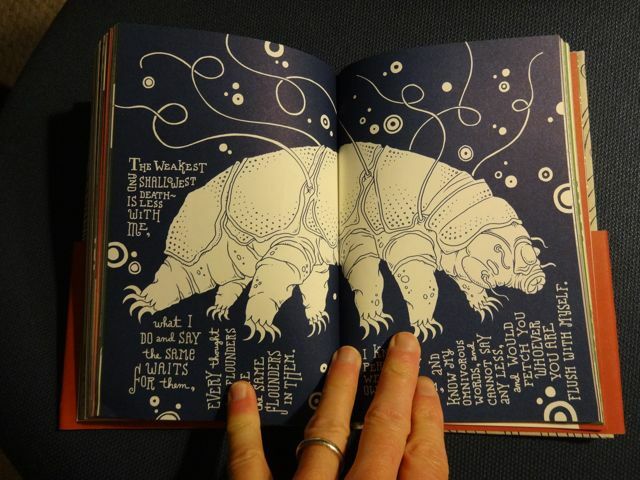 This entry was posted in Whitman Illuminated on May 18, 2014 by Allen Crawford. 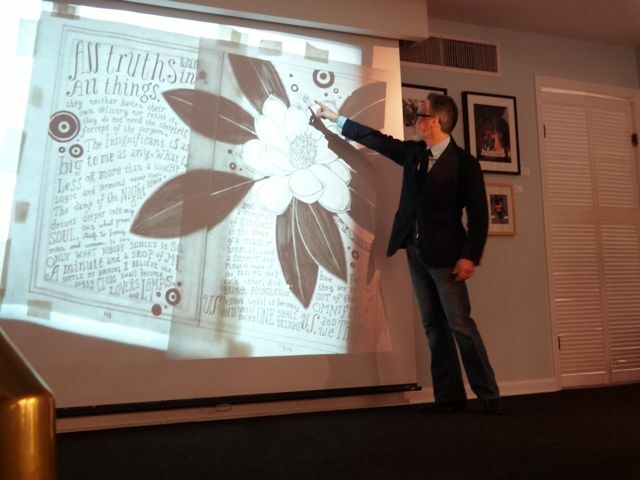 Thanks so much to all my beloved Philly friends who made it out to my talk tonight at Brickbat Books. My agent and his family came all the way down from Brooklyn, which was way above and beyond the call, as far as I’m concerned. 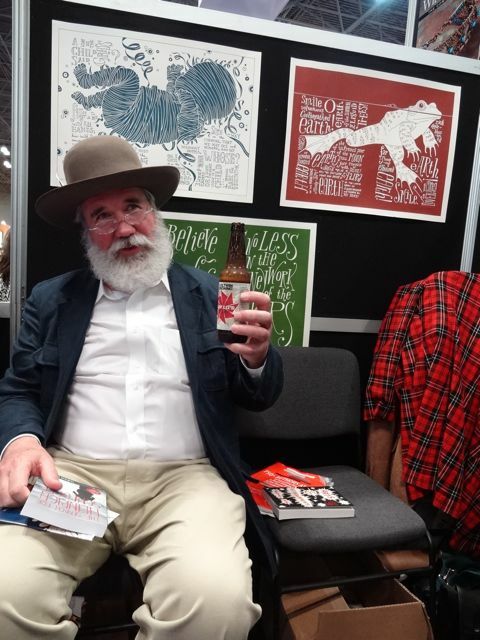 I’m deeply flattered and touched that so many of you bought copies this evening–in fact, we sold all of the copies tonight! On to Society of Illustrators in New York this Wednesday!